When Angels and Devils visit us where can we find them? Follow Stephen Mead down this dark and dreary path at the National Gallery of Art. You will see National Gallery of Art's highlights, historical showstoppers and fan favorites. Enough to fill your Halloween bucket. He'll stop to discuss each piece's symbols, stories and background. Mead lived in London until about six years ago, where he led exhibit tours of the Victoria and Albert Museum and gave talks for the U.K. National Arts Collection Fund. 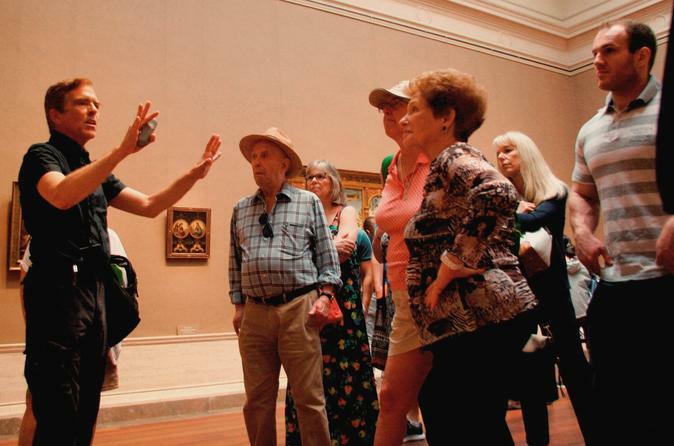 Since moving to D.C., he has combined his love of museums with his professional storytelling skills, making his tours both educational and enjoyable. Mead is a Washington, D.C. certified tour guide and part of the team at Adventures for Creative Tourists, which specializes in private tours of the arts, culture, and historically inspired sites. Please meet Stephen Mead outside the 6th Street Entrance. The tour will begin a few minutes after 1:00 pm. Please try to arrive at least 15 minutes before the start of the tour to check in with Stephen. Once everyone checks in with Stephen he will walk you through Security. The National Gallery of Art has a coat check. Please let Stephen know that you want to use the coat check. Stephen will next take you to the second floor Rotunda to begin his tour. Stephen will walk you through several exhibit rooms throughout the Museum. This is a fast-paced tour. Please wear walking shoes. Stephen will end the tour at the second floor Rotunda.